The Lake Christine Fire roared back to life when the temperature climbed July 19. Extremely dry conditions allowed the fire to burn through aspen stands, usually fire resistant. A helicopter makes a water drop near Drop Point 15 on July 27 in El Jebel fighting the Lake Christine Fire. Flames rage above homes from the Lake Christine fire in Basalt, Colorado on July 4, 2018. Flames explode near power lines on Basalt Mountain from the Lake Christine fire in Basalt, Colorado on July 4, 2018. A broken tree trunk in the burn zone on Aug. 1 in El Jebel above Ace Lane's property. A log smoulders Thursday after a finger of the Cabin Lake Fire near Meeker snaked down to the southeast of the main blaze. Wildfire smoke lingers in the Basalt valley on Thursday morning. A helicopter working hotspots on the Cabin Lake Fire near Meeker prepares to dip into the South Fork of the White River for water on Thursday. The new normal for summers in the central Rocky Mountains? 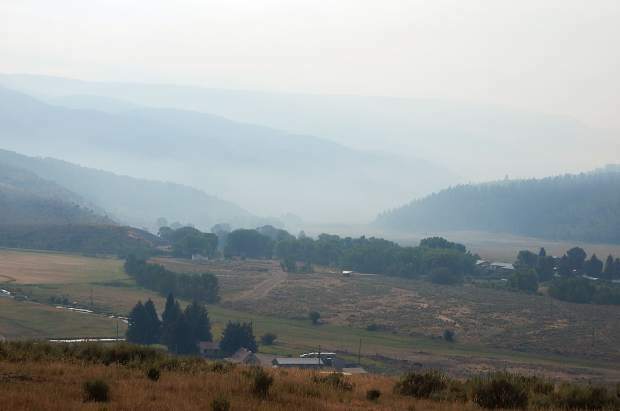 Smoke hangs inthe White River Valley Thursday near Meeker. Here are the five most prolific years for fires on the White River National Forest since 1998. Acreages are just for lands burned in national forest, not BLM, state or private lands. White River National Forest Supervisor Scott Fitzwilliams has become road-weary in recent weeks making a roughly 250-mile circuit among three fires eating through tinder-dry landscape near Basalt, Rifle and Meeker. Earlier this year, flames swept through forestlands and came perilously close to homes near Silverthorne in the Buffalo Mountain Fire. It has added up to an extremely busy fire season on the White River National Forest. 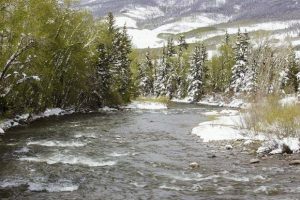 Even though this year’s White River stats are on the high side of the 20-year history, Fitzwilliams and others in the Colorado forestry and firefighting communities wonder if a “new normal” is being established for fire conditions. Climate change is creating warmer, drier conditions that are drying out tree, brush and grasses to record low moisture levels. Suburbanization of formerly rural areas is placing more homes and other structures in harm’s way, in areas known as the wildland-urban interface. Plus, fire suppression has been going on for so many decades in the White River and other national forests in Colorado that fuels have built up and made them susceptible to conflagration — a large wildfire that causes major damage. Environmental groups have been critical of President Donald Trump’s administration for not acknowledging the role climate change is playing in western forest fires. 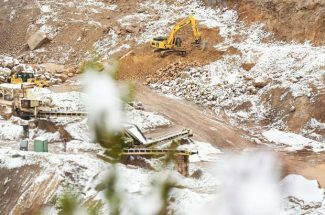 In a teleconference Thursday, Environment Colorado Research and Policy Center presented expert testimony to show the link in Colorado this year. Heidi Steltzer, a professor of biology at Fort Lewis College in Durango who has studied early snowmelt, discussed how warmer, drier winters help make conditions ripe for wildfires — and how the problem is expected to get worse. 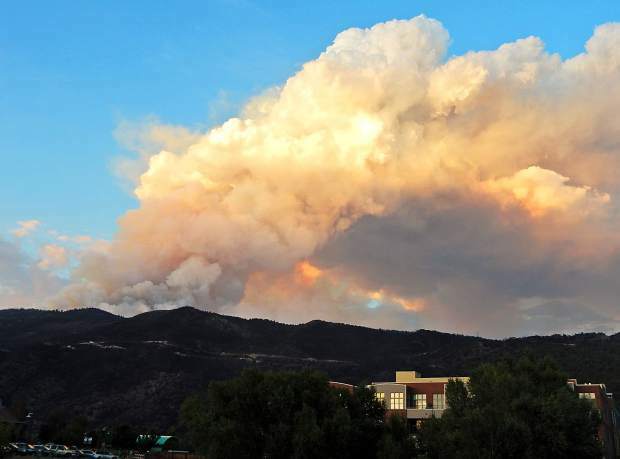 Deborah Kennard, a professor of environmental science at Colorado Mesa University who teaches courses on fire management and fire ecology, also spoke on Thursday’s teleconference. 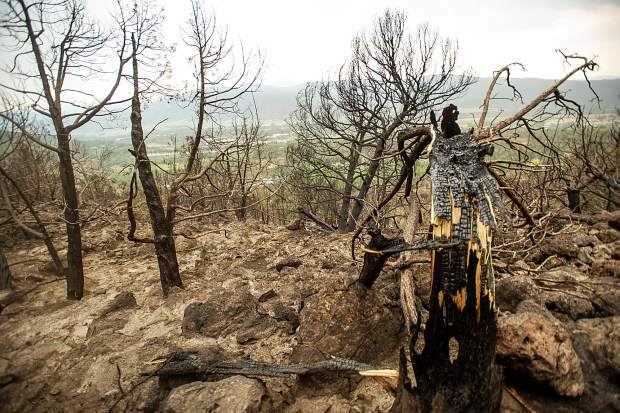 She is concerned about fire spreading to high-elevation forests and ecosystems. Fitzwilliams avoids politics but will share his observations. 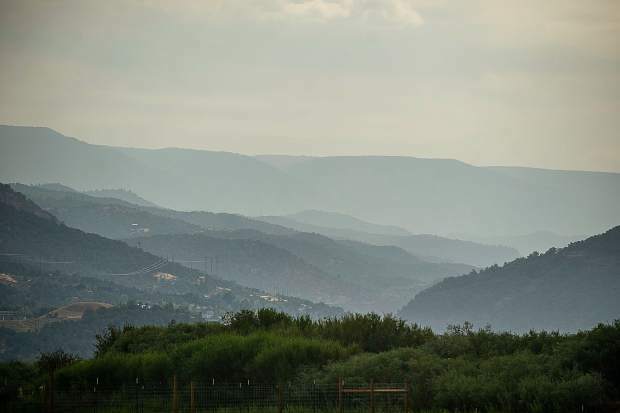 The potential for fires hit the high altitude of Summit County, location of the Buffalo Mountain fire, two to three weeks earlier than normal this summer, he said. The Lake Christine Fire was abnormal in the sense that wildland fires haven’t reached higher elevation sub-alpine fir and conifer forests of the middle or upper Roaring Fork Valley for decades. The Panorama Fire in 2002 and Catherine Store Road Fire in 2008 were at lower elevations and within different ecosystems. This year provided a one-two punch of low snowpack and lack of summer monsoons. If that’s a trend rather than an anomaly, the fire season in Colorado will get more intense — with not only more fires, but regular health concerns because of poor air quality from smoke. 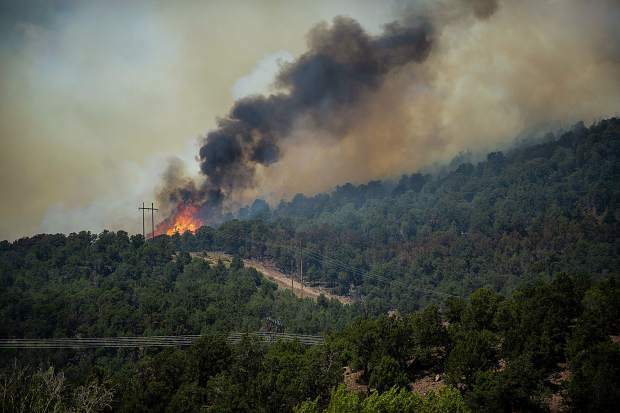 Fitzwilliams said the explosive growth of Colorado’s Western Slope is making it more complicated — and expensive — to fight fires. “I’m estimating we’ll spend $30 million on the White River this year putting out fires,” he said. 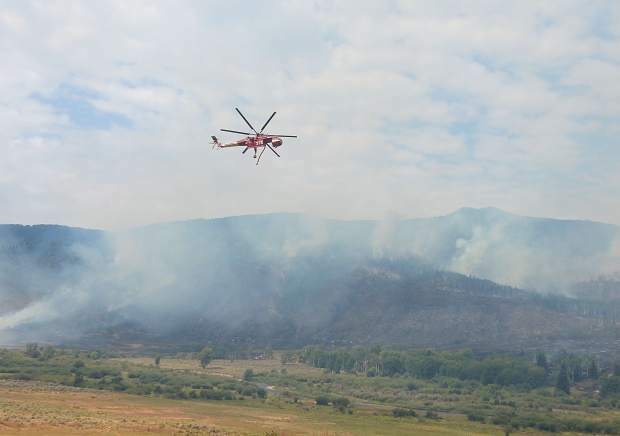 There have been five Type 2 incident management teams called to the White River National Forest so far this year to manage firefighting efforts. Those are large administrative teams with a broad diversity of skills to manage large numbers of firefighters. It’s believed there were never more than three Type 2 teams on the forest in any prior year. 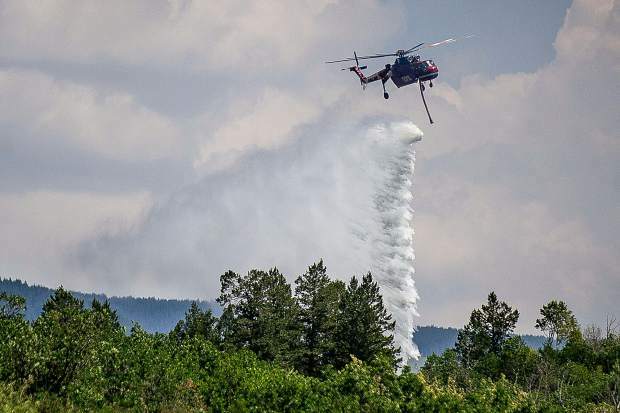 The firefighting effort in the Lake Christine Fire was so intense because there was power grid infrastructure and Basalt’s municipal water springs to protect in addition to hundreds of homes in Basalt, El Jebel, Missouri Heights and the Fryingpan Valley. The Cabin Lake Fire is in a more rural area so fewer structures are threatened but if the fire grows and forces an extended forest closure into hunting season, the Meeker area economy could be devastated. 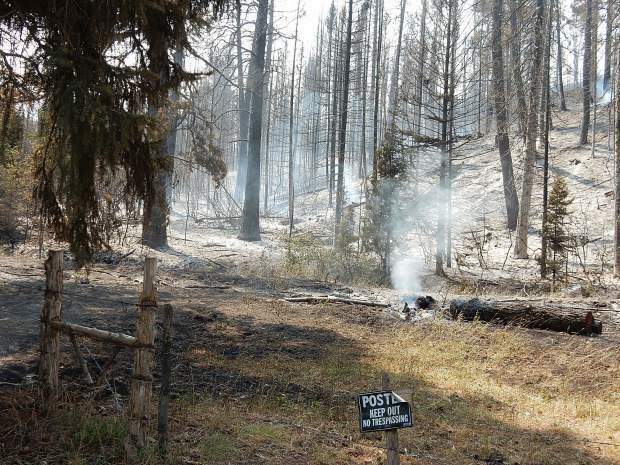 The fire has forced the closure of forestlands that are prime elk habitat. The only other fire so far this year that threatened homes to the extent of Lake Christine was the Buffalo Mountain Fire. The Forest Service and partners had undertaken vegetation management on 350 acres of national forest on Buffalo Mountain adjacent to subdivisions between 2010 and 2014. That slowed the fire and helped protect the structures. “The Buffalo fire could have been catastrophic,” Fitzwilliams said. Basalt-Snowmass Village Fire Chief Scott Thompson feels the same way about the Lake Christine Fire. A vegetation management project in the mid-2000s on federal lands east of the El Jebel Mobile Home Park slowed the fire and assisted firefighters battling to save it the night of July 4, according to Thompson. Elsewhere, there have been sporadic attempts to beef up defensible space. Snowmass Village homeowners’ associations have made a stellar effort at thinning fuels around houses, he said. The town of Basalt has vowed to take steps after its close call this summer. 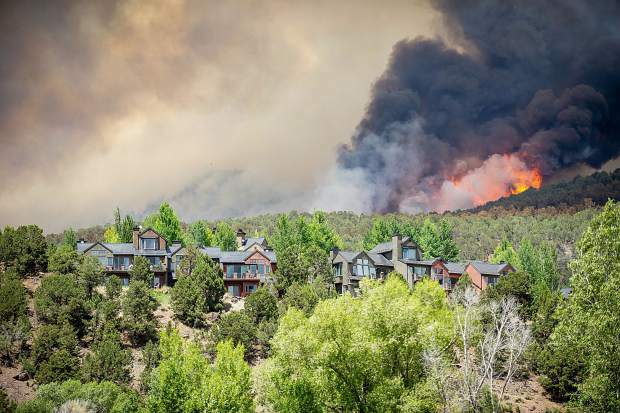 Eagle County makes new development mitigate for wildfire. The Lake Christine Fire has motivated private property owners. 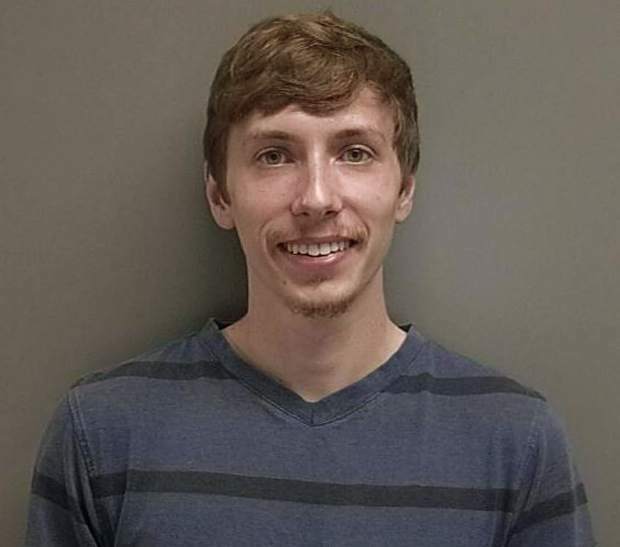 The fire department is receiving regular requests from property owners who want an assessment of what they can do to make their land and homes more defensible. 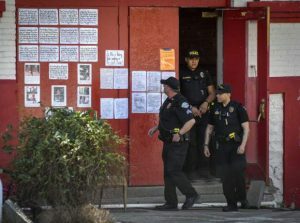 “There’s nothing like flames or smoke in your neighborhood to make people pay attention to their own property,” Thompson said. The department is making those assessments but much of the recommended work must wait until the fire threat abates so chainsaws and other equipment can be used. Thompson agreed with Fitzwilliams that development in the wildland-urban interface complicates firefighting. There were hundreds of homes in that zone in the Basalt Regional Fire Protection District in the 1980s. Now there are thousands of homes built on private lands abutting public lands. Thompson estimated that only a very small percentage of homeowners have undertaken the steps to make their homes and property defensible. Firefighters will have to write off some of those homes for safety reasons under the wrong circumstances — fast moving fire in pinion and juniper forest with only dead-end streets for ingress and egress, Thompson said. So, if the Forest Service undertakes more forest thinning, private landowners create defensible space, and towns and counties toughen their land use codes, will it make any difference if the climate keeps changing? Fitzwilliams voiced similar concerns about the longer duration of fire seasons — and the wear-and-tear it creates for firefighters and regular Forest Service staff. In a year like this, resources are spread thin and assigned to where the risk is greatest. 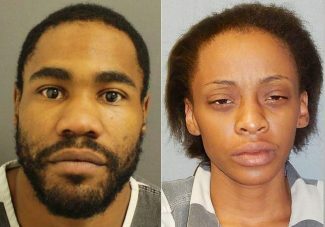 “The problem is not going away any time soon,” Fitzwilliams said.